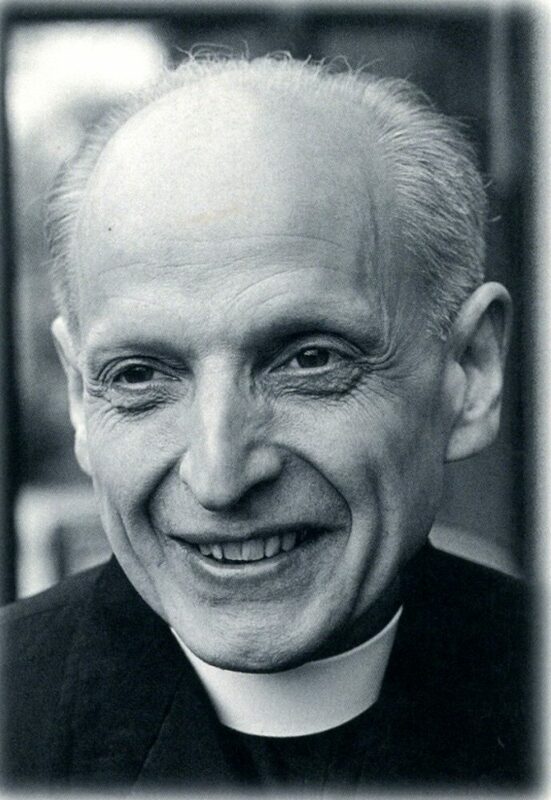 MISSION AND MINISTRY | The cause for the beatification and canonization of Pedro Arrupe, S.J., the 28th superior general of the Society of Jesus, who served from 1965 to 1983 and put into words the guiding mission of a Jesuit education, opens Feb. 5, 2019, in Rome. Father Arrupe’s life, ministry and faith-witness will be remembered at Masses celebrated at 7:30 a.m. and at noon in the Leavey Chapel. He lived from 1907-1991, and Feb. 5 marks the 28th anniversary of his death. Father Arrupe’s commitment to justice led him to establish the Jesuit Refugee Service, a prophetic act, whose relevance is so visible today. Moreover, his belief in justice informed his understanding of the goal of Jesuit education: “to form men and women for others; men and women who will live not for themselves but for God and his Christ – for the God-man who lived and died for all the world; men and women who cannot even conceive of love of God which does not include love for the least of their neighbors; men and women completely convinced that love of God which does not issue in justice for others is a farce.” The full address can be read here. “More than ever I find myself in the hands of God. love which he shared with everyone his life touched. will be Persons for Others sharing Your love. I ask You to hear this prayer…..